Craft is excited to have opened two exhibitions last Saturday, Vanguard - Contemporary Makers Using New Technologies, presented as part of Melbourne Design Week and Northcity4 - 14 Benches. Vanguard showcased artists, Lucile Scialliano & Ben Landau of Alterfact, Bin Dixon-Ward and Michaela Pegum opened the exhibition with a conversation circle discussing their experimental approaches to making. 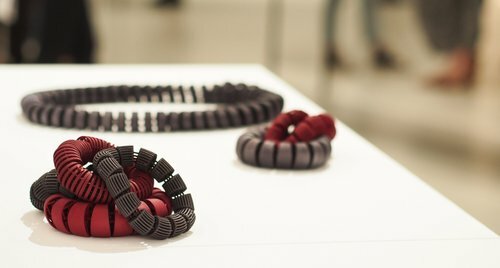 Listeners learned about the intricacy of designing and making these artworks, the accidental beauty that drives and challenges their practice and methodologies with 3D printing and electroplating. 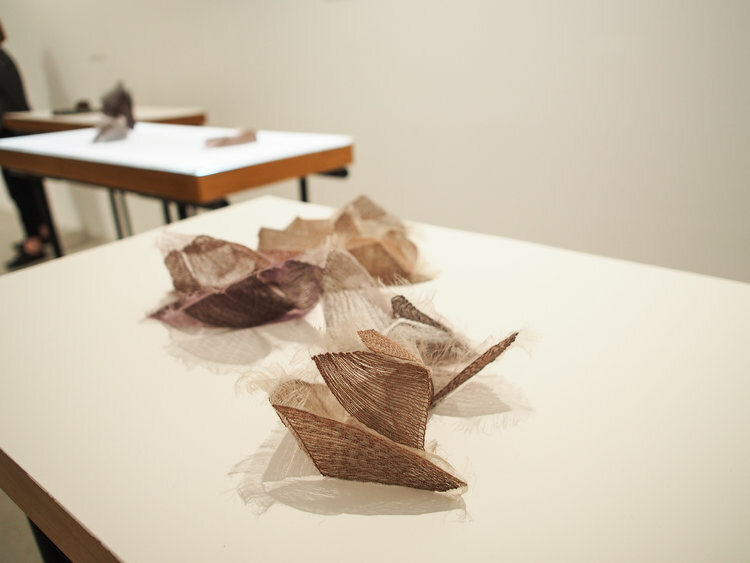 "These artists are combining traditional craft methodologies with new technologies and contributing to a new interpretation of the handmade in craft." says Craft Board Member Katrina Raymond during her opening speech. "This marks an exciting future for our artists. In our rapidly developing digital age, craft matters more than ever. Individual, bespoke, hand-crafted objects are becoming rarer, but more important." Craft is delighted to have opened a second exhibition on Saturday. Northcity4 - 14 Benchescurated by Anna Gray features work of 14 contemporary jewellers from the warehouse studio Northcity4. Anna Davern, Annelies Hofmeyr, Jin Ah Jo, Emma Grace, Laila Marie Costa, Juan Castro, Flavia Barar, Georgie Brooks, Anna Gray, Ali Limb, Amanda Croatto, Cass Partington, Mehrnoosh Ganji and Pamela Camille display a breadth of different materials and techniques transformed into wearable art pieces.